Spinal muscular atrophy is a genetic disorder that is caused by a loss of specialized nerve cells, called motor neurons and leads to weakness and wasting (atrophy) of various muscle groups. 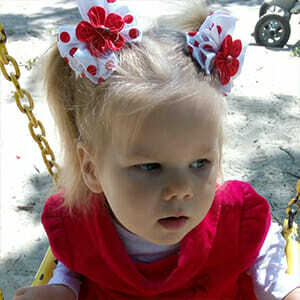 Kira has a rare genetic disease – spinal muscular amyotrophy. The girl has never crawled or walked. Now she can sit with support and pick up some light objects. “Kira is a cheerful, smiling girl with a strong personality. She is stubborn and independent child, that always carries her point and knows how to get what she wants”. Kira is only three years old, but she knows all the letters and can count up to 10. Kira can recite the poem, sing a song and even dance, but only in her own way, sitting in a stroller. Despite the fact that the girl is immobilized, she wants to have fun, to explore the world and communicate with her peers. “Our family really needs your help. We have found orthopedic equipment of high quality in Moscow. But the price of the orthopedic splints is too high for us. The splints will prevent the contractures, that can cause unbearable pain in the future. More than anything else in the world we want the life of our daughter to be without pain”. TIN 600978346. Registered in the Republic of Belarus 7th march 2003 by Ministry of Justice of the Republic of Belarus.